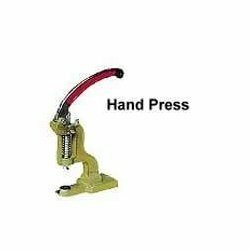 Manufacturer of a wide range of products which include heavy duty hand machine with front pressing and hand press machine. 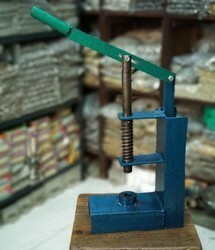 As an esteemed name in the relevant industry, we are offering a precision-engineered array of Hand Press Machine. Being a quality-oriented organization, we assure our clients that this hand press is the best in quality. Our ergonomically designed hand press ensures optimum performance and high production rate. choice of enthusiasts and art collectors. Our experts only utilize fine quality raw material, while manufacturing the entire range. Moreover, our offered hand press can be availed in a wide range of sizes and shapes, as per the requirements of our honoured clients.